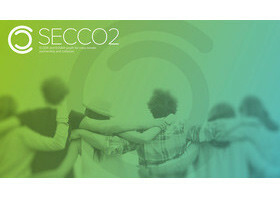 We are pleased to inform you that Central European Service for Cross-Border Initiatives (CESCI), Association of European Border Regions (AEBR), AEBR Task Force of External Borders, Institute of International Sociology of Gorizia (ISIG) and CESCI Balkans are organizing Youth Leadership Forum entitled “EUSDR and EUSAIR youth for cross-border partnership and cohesion”. The Youth Leadership Forum will be held in Tivat, Montenegro, City Hall of Tivat Municipality (Trg Magnolija 85 320 Tivat), from 30th to 31st May, 2018 within the framework of the SECCo2 project, supported by the Danube Strategic Project Fund and PA10 “Institutional Capacity” of the EU Strategy for the Danube Region. All costs of the stay will be covered by the hosts for the selected participants including all the meals and accomodation in a four star hotel Magnolia in Tivat. To apply for participation in Youth Leadership Forum, please fill in the application form and send it back by 15th of May 2018 to the following e-mail address: kristina.milosavljevic@cesci-net.eu or fill in the online registration here. Please find the Agenda of the event here and more details in the offical Announcement. Update: Since local governments and CSOs expressed big interest towards participating on the event, we decided to open the possibility and accept a limited number of applications coming from local governments, CSOs and other institutions dealing with youth initiatives and projects. Looking forward to see you all in Tivat!